Once upon a love, handsome young man, gorgeous young girl, never meant to fall in love. for the gal ..they were never meant to fall in love..
For the boy..he had failed miserably in the matters of the heart..
Until one day..their paths crossed, fates met..
Love happened, once and then forever.. This story is written in a flashback mode, where kosha's daughter is reading her mom's story..
Story revolves around a girl named kosha, carefree, cool attitude, photographer by profession and a person who prefers to live life on the edge ...she runs away from her own engagement leaving everything behind through the help of her best friend, leaving her would be fiance behind..
Kosha never believed in love coz of some of the unfruitful incidents which happened in her life some years back and thus made her believe that love is a sheer waste of time and marriage never lasts.. The cover and the blurb and the title just simply goes apt with the story and its simply perfect...you cannot find even a single error, neither punctuation errors nor editing..apart from this conversations which take place between tanu and kosha, kosha and her daughter is simply touching, any person can relate with them.. The characterization of each and every character is beautifully characterized..
Supriya has not justified with the rest of the characters in comparison with kosha, i felt everyone was sidelined..besides this, some past moments were unnecessarily written again and again..! Story was a bit predictable too..! 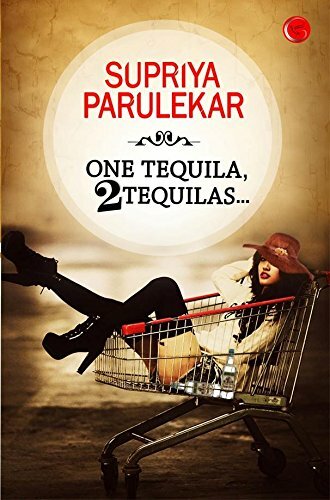 This book is just like a refreshing and intoxicating tequila, and you can simply dive into the different flavors of the book and can enjoy this wonderful book..! A short, simple, catchy book with a different story, with a lesson to learn at the end..!